Dy'Quan is using Smore newsletters to spread the word online. The Boston Tea occurred on 1773. In Boston which the tea being thrown into the Boston Harbor was said to be a response to the Tea Act. Which was a response by the colonist of Boston. 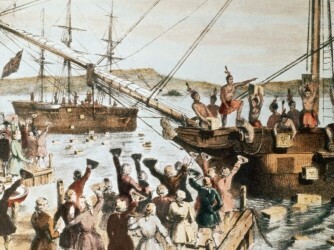 John Adams referred to this act as "the Destruction of Tea in Boston." One op for colonist and a lost for the British! This act set by the king which prohibited settlement west of the Appalachian mountains. This region was costly to the British to protect. This act was a result to the 7 years war. 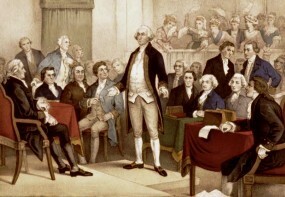 This meeting of delegates from 12 of the 13 colonies. They met on September5- October26,1774. Meeting was held in Philadelphia at Carpenters hall. 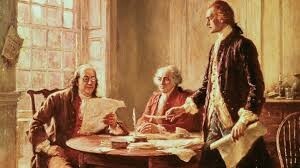 This meeting was called in matter of the Intolerable acts. The Boston Massacre where 5 people were murdered and where the first African american Crispus Attucks was killed. British troops fired on anti-British demonstrators. 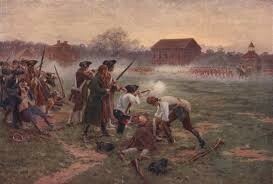 THE BATTLE THAT STARTED THE AMERICAN REVOLUTION. 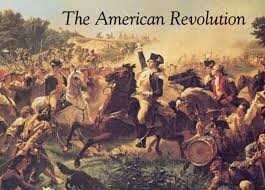 The British marched to lexington and were met by Paul Revere and the minute men. 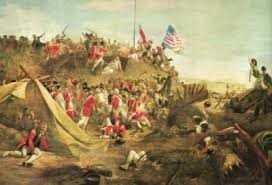 The British retreated because they were under heavy fire. 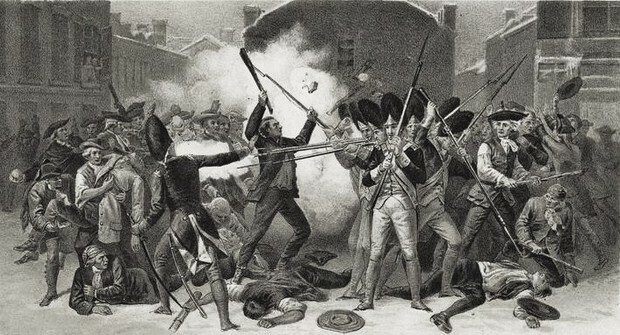 Turning point in the American Revolution. American victory convinced French government to formally recognize the colonists cause and entered the war as their ally. 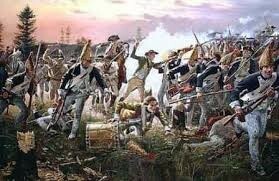 British General John Burgoyne defeated American Forced led by Horatio Gates and Benedict Arnold. This battle is known as the most important battle in history! George Washington led 17,000 french and continental troops. 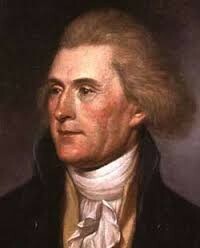 He led his troops to fight General Cornwallis in Virginia. George Washington decided that his troops should get attack when the opponents were at their weakest. Christmas ! 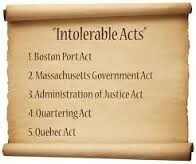 American Patriots' term for a series of punitive laws passed by the British Parliament in 1774 after the Boston Tea party. They were meant to punish the Massachusetts colonists for their defiance in throwing a large tea shipment into Boston harbor. 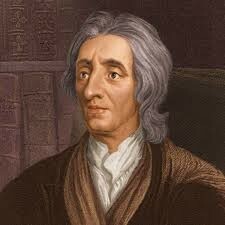 He helped to draft both the Declaration of Independence and the Constitution of the United States. During the American Revolution, he served in the Second Continental Congress and helped draft the Declaration of Independence in 1776. 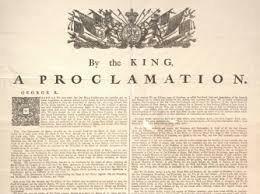 He also negotiated the 1783 Treaty of Paris that ended the Revolutionary War (1775-83). In 1787, in his final significant act of public service, he was a delegate to the convention that produced the U.S. Constitution. Congress ordered General George Washington to take command of the Continental Army besieging the British in Boston. Despite having little practical experience in managing large, conventional armies, Washington proved to be a capable and resilient leader of the American military forces during the war. 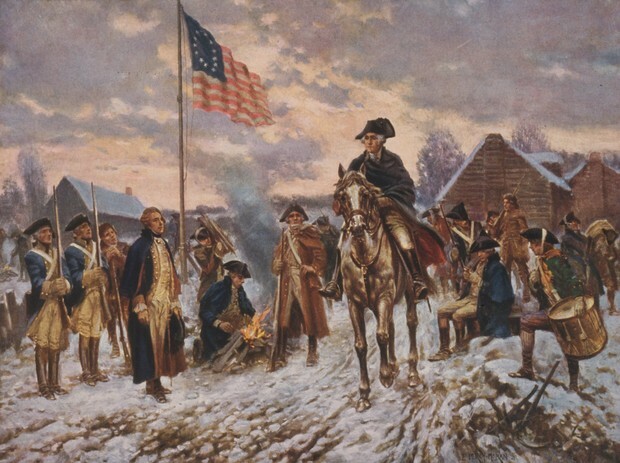 While he lost more battles than he won, George Washington employed a winning strategy that included signal victories at the Battle of Trenton in 1776 and Yorktown in 1781. Washington’s greatest wartime legacy was his decision to surrender his commission to Congress, affirming the principle of civilian control of the military in the new United States. England-born political philosopher and writer Thomas Paine (1737-1809) helped shape many of the ideas that marked the Age of Revolution. 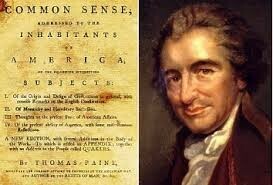 Published in 1776, his highly popular “Common Sense” was the first pamphlet to advocate American independence. After writing the “Crisis” papers during the American Revolution, Paine returned to Europe and offered his defense of the French Revolution with “The Rights of Man.” His political views led to a stint in prison; after his release, he produced his last great pamphlets, “The Age of Reason,” an exposition of institutionalized religion, and “Agrarian Justice,” a call for land reform.